How to Recreate iTunes Library from iPod? I could probably live with accidentally deleting a few iTunes music or losing some videos, but the entire iTunes library disappearing? That’s something to think about. A week ago, a friend of mine was involved in a not so fortunate situation where his computer suffered a terrible, terrible hard drive failure leading to a crash. He lost everything including his iTunes library which he has been building for 3 to 5 years. His music, videos, TV shows, podcasts, thousands and thousands of media files all gone in a second. He reached out to me, asking if there was a way he could possibly recreate iTunes library from iPod without it being erased since he has a backup of his media files there. So we decided to put this up to also help those who have suffered or are suffering the same fate. The solution is simple, in order for us to achieve a safe and secured transfer of files from your iPod to iTunes we will be using an innovative software, an software solely designed to support iOS users who are tired of errors and want to exceed limitations with their devices. Ever heard of iMyFone TunesMate? Read on to find out more. You’re probably wondering what this tool is and what it does. Well, iMyFone TunesMate is an extra-ordinary software designed by iMyFone to help manage all of your iOS media. 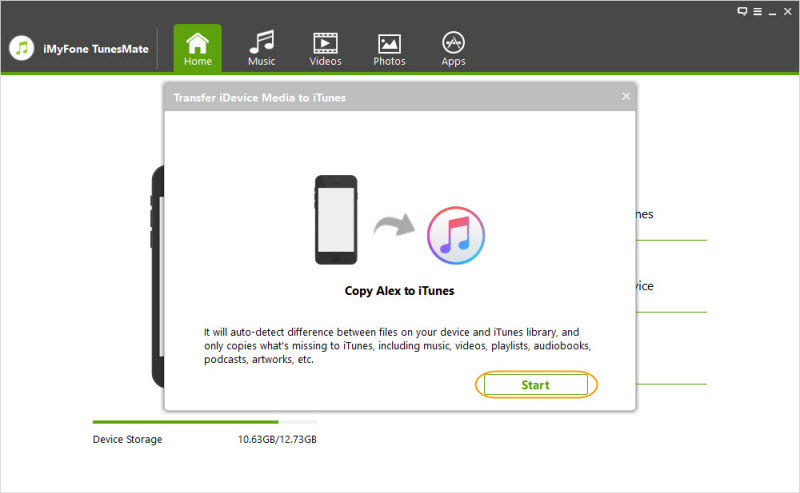 With TunesMate, restoring your iTunes library from your iPod or any external storage device is now as easy as it can get with just a single click. This amazing third-party tool helps you overcome iTunes restrictions and errors, you no longer have to go through the long and stressful steps when recreating iTunes library from iPod or backing up your files. Easily and speedily recreate iTunes library from iPod with no Apple password or restrictions. It allows for unlimited transfer of iTunes libraries to/from unlimited iDevices. For those who’d like to preview and selectively sync files through iTunes prior to retrieving iTunes library from iPod, it is possible with this application. 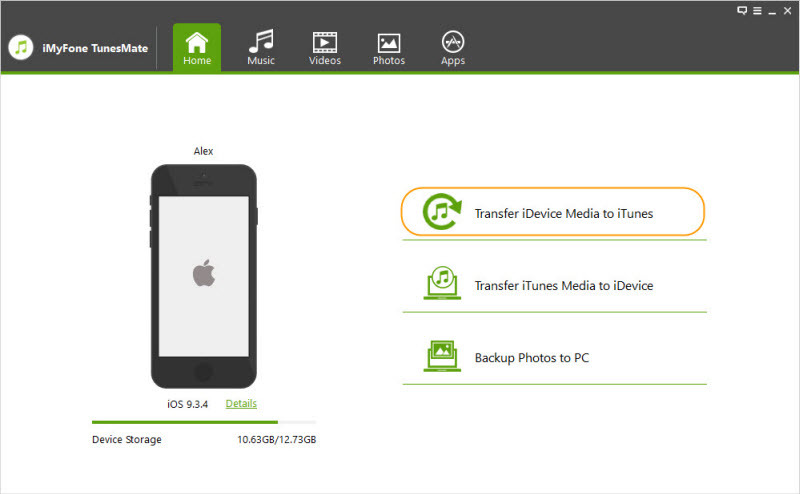 It allows for a 2-way transfer, giving you the option of transferring files between iPod and iTunes/PC properly. With iMyFone TunesMate the transfer and syncing of media files is safely carried out without fear of overwriting or wiping off the original file from iTunes library. Supports the successful transfer of purchased and non-purchased media files. Step 1: First, what you need to do is download iMyFone TunesMate software if you don’t already have it on your computer. Step 2: Install and click on it to launch. Step 3: Connect your iPod to your computer with a USB cable. Step 4: Choose "Transfer iDevice Media to iTunes" on the home screen. Step 5: Tap "Start" to allow the software conduct a scan on your device. 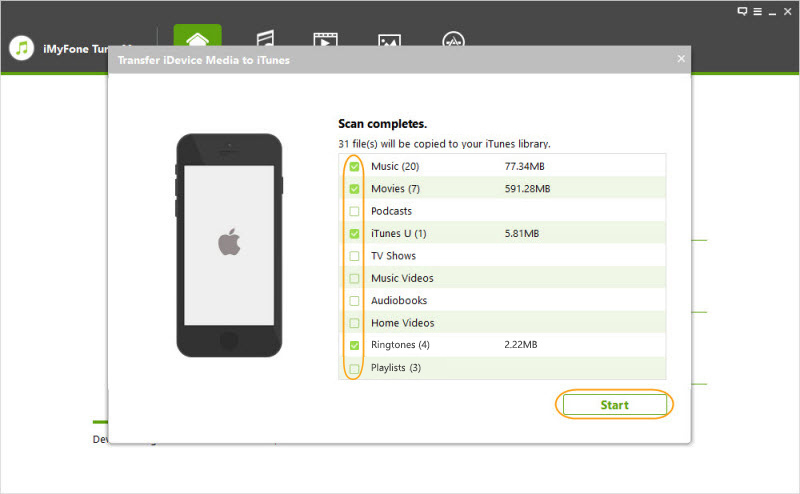 Step 6: After a successful scan your media files that you want restored will be displayed. Step 7: Check the ones you want to restore. Step 8: Hit the "Start" button to start the transfer process. Step 9: Once that’s done you’ll have your iTunes library fully restored. You can also recover your lost library with the help of iTunes, but I promise it’s not the brightest idea there is. Nevertheless, we are going to show you a few simple steps to go about it. 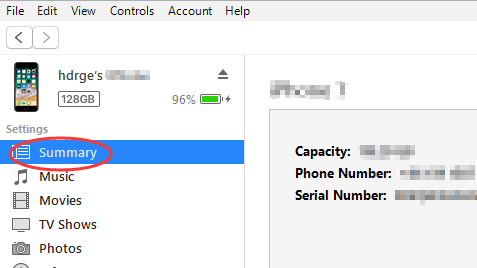 Now, before proceeding you want to make sure you authorize the new computer on iTunes else you won’t be able to access your iPod media library. To do that simply launch iTunes software, login with your Apple ID. On the menu bar click Account >> Authorizations >> Authorize this Computer, type in your password and then hit Authorize. Once that is done you can now proceed with the steps on how to recover your iTunes library. Make sure you have the latest version of iTunes installed on your computer. Connect your iPod to your computer with a USB cable. Look for your device icon at the upper-left corner of the screen and click on it. Check the boxes to select all the files you would like to restore. Hit the "Sync" button to begin the transfer process. Did you just get an iTunes update that led to a missing iTunes library? Was your computer stolen or damaged? Did your hard drive fail? Regardless of the reason for your disappearing iTunes library, using iMyFone TunesMate and diligently following the steps above will ensure a fast, safe, and efficient recovery from your iPod. Did it work for you? Let us hear your comments and questions.